Web hosting affiliate programs offer some of the biggest commissions you can get online. You can typically get between $50 – $250 per sale depending on the program and many offer performance incentives. But don’t just promote any old web host to your audience. While there are some really great web hosts that offer great service and features, there are some notoriously bad ones that would be a nightmare for any customer. In this article, I’m going to list just five of the best web hosting affiliate programs you can promote online. There are many great web hosts that aren’t well known but I’m going with names that you’d recognize if you’ve ever searched for a web host. You can potentially earn more with well known web hosts than a great obscure one even if their service is bad. Imagine what you can do with a great well known web host. Here is my list of the five best web hosting affiliate programs available in 2018. SiteGround is one of the best web hosts around right now if you’re looking for cheap WordPress hosting. They also host Joomla and Magento websites as well. They excel at every aspect of their hosting product including customer support, uptime, speed, security and just offering the best web hosting technology there is. It’s why this is the top recommended web host on my website. This is why I believe that you will do well promoting a quality web host like SiteGround because your readers will be satisfied with your recommendation. SiteGround pays $50 per sale and increases payout based on performance. The more sales you refer, the more you get paid per sale. And if you send very high volumes of sales, you can usually get even higher payouts. You can talk to an affiliate assistant and they even offer a free trial account so you can talk about their product from experience. You can sign up to promote SiteGround here as an affiliate. A2 is another quality web host that has great hosting and uses their fast website hosting as their main selling point. Based on what I’ve seen on some hosting forums and groups, A2 is one of the best web hosts available if you’re looking for fast, reliable hosting. The affiliate program pays great as well and promoting A2 should be easy especially if your readers know what they want. Commissions for promoting A2 start at $85 per sale and like SiteGround, you get an increase based on performance during a month. You can even contact an affiliate manager for even higher commissions if you can deliver a much larger volume of sales every month. A2 also pays a $5 commission on 2nd tier sales which is another great reason to sign up. You can learn more about A2’s affiliate program here and sign up to promote a quality web hosting offer. WordPress managed hosting aimed at designers and agencies is the reason why Flywheel exists. But of course anyone with high traffic WordPress websites can get Flywheel web hosting if they like. Flywheel is another quality web host but only for WordPress websites which account a high percentage of all existing websites online today. Flywheel isn’t cheap and starts at $15 per month for a single WordPress install or $30/month for their most popular plan which is still for a single install. Bulk plans up to 10 WordPress installs start at $100 per month. As an affiliate, you can earn three times the amount of the monthly plan the user selects. So for the $15 plan (Tiny), you’ll earn $45 per sale. For the most expensive plan, you can earn up to $500 per sale which is one huge commission. Flywheel is a great web host and they offer lots of creatives, content ideas and professional support when you need it. Click here to check out the details of the Flywheel referral program. One of the leaders of WordPress managed hosting is WP Engine. This was probably the very first website I heard about that only hosted WordPress websites and also managed them. Their service isn’t cheap (like most managed WordPress hosting) and starts at $35/month for a single WordPress install. Referring anyone to WP Engine earns you $200 per sale even for the cheapest plan or 100% of the first month’s payment if it’s more than $200. Such attractive commissions definitely appeal to web hosting affiliates but it doesn’t stop there. WP Engine also offer $50 when an affiliate you referred makes a sale. 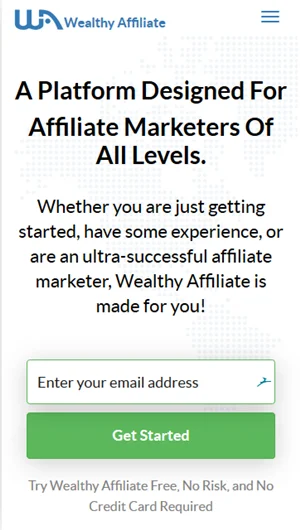 What makes this particular affiliate program so good though is that they communicate with you on a regular basis through a monthly newsletter and when they do have promotions and they also encourage you to contact an affiliate manager if you would like help promoting them. They also have a number of creatives including discounts and special promos. The affiliate program can be found through Shareasale. Cloudways is another quality web host that offers a very good affiliate program with attractive commission options. I actually got the idea to write this article when I saw Cloudways affiliate program details after researching some of the best web hosts (as suggested in a Facebook group for web hosting discussions) and looking at their affiliate program pages. Cloudways offers managed cloud hosting and you have three options for getting paid when you promote them. The first way is what they call Slab which is structure like most of the other web hosting affiliate programs here. This way is great if you want to make a lot of money on a monthly basis based on your performance. The second way is called the Hybrid and this structure is more beneficial if you want to earn more passively and for the long term. With this model, you get a $30 bonus upfront on any number of referrals then 7% recurring commissions for the lifetime of the customer. The final way to earn with Cloudways is the Custom structure. This is more beneficial to super affiliates who can refer large volumes of customers without breaking a sweat. In other words, if you can make a lot more than 80 sales per month then you’re way past the Slab structure and can talk to an affiliate manager about the Custom structure. This structure can combine the Slab and Hybrid models so you can earn recurring income while getting high upfront commissions. You can check this blog post for details of Cloudways affiliate program and sign up to promote this very lucrative offer. Making money with web hosting affiliate programs is an extremely competitive industry to tackle but you will make money if you focus and stick to your promotions. First figure out who needs the service and figure out ways you can target them. This is the first step (finding your niche within a competitive industry). Think about the terms people would use to search online where web hosting is the solution to their problem. Terms like “how to build a website” may be very competitive but then you can have other terms like “how to make a website to sell my photography” or “how to build a bakery website” might just allow you to reach a more specific audience. Another way to target people who need web hosting is to target people who already have web hosting but want to move to a new web host for any number of reasons. If you can intercept these searchers at the point where they’re searching to fix their web hosting problem, you will have a quality referral because these people are already more committed to having web hosting than someone who wants to host a brand new website. Your readers will also be looking to compare various web hosts and these types of keywords such as Bluehost vs SiteGround for example, will give you quality traffic. These are just a few tips you can use to kickstart a web hosting promotional campaign if you want to earn the huge commissions typical of this industry. Whatever web host(s) you choose to promote, be sure to check the affiliate area for more tips and definitely get in contact with your affiliate manager who can help you sort out your promotions by giving you ideas and sometimes custom creatives. Do you have experience promoting web hosting affiliate programs? Are there any great web hosts that I missed that have an awesome affiliate program? Let me know in the comments below. Some of those in your list of top 5 offer serious commission money for just a single sale. Are web hosting programs, programs that teach you about affiliate marketing, and you are selling that program? What exactly is web hosting? And are all of those on your top 5 a one-time payment for a sale or is it a recurring monthly payment? Web hosting is how websites get their pages served up whenever someone visits your website address so you need web hosting if you’re building a website. It’s where your website “lives”. Most web hosting programs are for serious and already established affiliate marketers so they don’t teach you how to do affiliate marketing but you can get tips on how to promote their program (yes you’re selling the service). For the web hosts mentioned here, most of them are one time commissions per sale, actually all of them have that structure but you also have Cloudways option that gets you recurring monthly commissions. The thing about web hosting is that they pay you the big commissions sometimes more than what the customer paid on their bill because they’re paying to acquire the customer who may go on to host for years hence paying them even more money than they’ve paid out to you. Wow… I didn’t know that promoting web hosting can earn so much commission. All the while I thought since hosting is pretty affordable so I guess the affiliate commission won’t be that attractive either. So what’s the best hosting provider out of the 5 programs that you would recommend? Personally, I host my blog on hostgator but have yet to start promoting as affiliate. Hope you can advise. Thanks. I’ll be honest with you. Hostgator isn’t a very good web host and you probably shouldn’t promote it as an affiliate either because you’d be disappointing a lot of people. I’ve heard some affiliates say that they get a lot of reversed commissions promoting Hostgator because people buy the service then leave when they see that it’s not that good. The five that I’ve mentioned here are different from each other in some ways. If you’re hosting with Hostgator then the best host for you is my personal favorite and the one I do recommend on this website – SiteGround. They’re cheap at less than $4 per month but you have to pay for at least a year. I can see your point about why you think the affiliate commissions wouldn’t be so attractive. I am an affiliate marketer researching website hosts with good affiliate programs. I really enjoyed reading your post. I am only familiar with Siteground and not the others. You just saved me a ton of time. I will head over to the other sites you recommend and check it out. As you said in your post, you cannot just go and promote any website host. They must deliver an excellent service and the most important for me is the technical support and uptime. I have done a bit of research on BlueHost, HostGator and GoDaddy. I notice some people are not to happy with their website hosting services and others do recommend them. What are your take on these three? I’m glad you found this post then. I’m in the group with the people are do not recommend any of these three hosts you mentioned. I’ve had experience with Bluehost and Hostgator. Hostgator used to be good but after they sold out to Endurance International Group (EIG) their service turned to crap. They’re even worse than Bluehost who is also owned by EIG. Bluehost main problem is that they’re always down. I used to log on to my website now and then only to find that it was down. But what drove me away was an incident where they thought my legitimate traffic was spammers and asked me to delete a table which contained over 1300 legitimate comments I had gathered on this very website. I didn’t know what the table was about and deleted it only to realize my mistake afterwards. Godaddy isn’t a company that I support. I don’t even by my domains from them. But their web hosting has always sucked and they don’t have good WordPress hosting anyways. I do hear that their support is awesome though but people don’t host websites to get good treatment. So i’d stay away from those three. That’s why I can’t mention any of them in this article because you’d be promoting crappy hosts. I must say that I had success with SiteGround in the past. I have made some decent money because their commissions are very good but just like you said competition is very large. From your list SiteGround Is definitely my number 1 recommendation but hard work is definitely needed. Anyone who want money online should give it a try. Yes, everywhere I go online, people are raving about SiteGround, even a lot of people who would be very critical about the most popular web hosts. So I know they’re that good. You can definitely set yourself up to make good money by promoting a quality web host that people are likely to be happy with. I started with a computer in 2013, a bit late in life you might think. I only used it for emails, photos, and following summits/workshops on subjects of my interest. Recently I heard about Affiliate Marketing. Going to your About me page I see you have been doing this since 2006. That means I am talking to a real expert. Coming to your detailed post you present the 5 best affiliate companies for hosting your website included the possibility of earning money. From Site Ground to Fly Wheel and some more. They all seem to have a good compensation plan and support. To tell you the truth I have to digest all this information as I am a newbie. I want to be really carefull before I make a decision and your post will help me with that. Thank you. If you do consider promoting in the web hosting niche, you can make a lot of money once you get it right. Wealthy Affiliate used to have training specifically for this niche but they got rid of it in favor of the more general course. These are serious commissions you can ask, and that for a single sale, this looks very interesting. However as I may think, you will need a certain level of experience in the Affiliate Marketing, and in websites (like webhosting, design and so), or you can start with zero experience? I have the idea with this, you can earn very good money. Thanks to share with us, I will check it out! Very good question. You can start with zero experience. As you can see, you get rewarded based on performance and some people are only going to manage 1 – 5 sales per month while more experienced super affiliates will manage to refer more sales (21+). So anyone can really benefit from these types of affiliate programs. Hi Jay and thank you for these recommendations! I was looking for new opportunities for affiliates in the hosting industry and this is a great list. I noticed that there are mainly two types of affiliate commission rates in this industry as in any other similar industry: one time bounty commission and recurring percentage commission like Bluehost and Beyond Hosting that will keep you getting paid as long as referrals are buying their services. From your experience, which one is more rewarding for you as an affiliate on the long run? Most of them are one time commissions for the sale but there are a few that have recurring commission structures. If you’re in it for the long run, then recurring commissions can earn you passive income meaning that you won’t have to keep working to promote the web hosting companies every month. But if you can perform well and refer a lot of sales on a consistent basis then getting a one off commission per sale might be better as the commissions are usually bigger and increase with the amount of sales you refer. So it’s really up to you to decide what you’re comfortable with. Of course if you believe in a certain company and they only have one option then it’s better to just go with that then to refer a host you don’t really believe in just because they offer recurring commissions. I am full-time blogger and I blog about making money online. I am unaware that we can earn reasonable money promoting web hosting affiliate programs. Thanks for the great insights. Since you mentioned answering a question in the comment section “Cloudways option that gets you recurring monthly commissions.” I love recurring Monthly commissions (Hybrid structure). And some of friends are promoting A2 and they shared a very positive feedback. I am thinking of promoting these 2 web hosting. Thanks a lot for the great post via your post you shown me an additional way to earn money. Reading your post I can see the in-depth knowledge you have on web hosting sites. Wishing you great success! Yes, A2 is a very good host and the fact that they offer 2 tier commissions is another great incentive to sign up and promote them. Cloudways recurring model is also a great reason to promote them if you want passive income. They’re another good host as well. Hello Jay,I am in Internet Marketing since 2008 but never think about web hosting as an affiliate money option. Actually, I was not bothering myself of hosting anymore. I have used Host Nine, and Hostgator which ended for me with almost all my mini sites were attacked. Happily, some were saved, and I moved to Wealthy Affiliate hosting, and until now it is the best for me. Everything is just fine beginning with customers support and ending with the great features. I believe that your five mentioned in the post is really cool, and commissions are good. By my mind to earn by promoting any you have to be very familiar with it. It’s better to have experience with the web host you’re promoting but there are some ways you can promote an offer without even having any experience. But overall, it’s better to know firsthand how the web host that you’re promoting performs. We are looking for some great Web hosting affiliate programs to promote and were looking at all the BIG hosting companies (1&1, Hostgaor, Godaddy etc…) but the affiliate programs were not too generous, so it’s great to find some smaller but still excellent and reputable brands that offer a better commission on their products. This list right here is what you’re looking for. The companies you mentioned are not very good web hosting offers never mind what their commissions look like. I know that HostGator’s commissions are actually very generous because I used to promote them before they sold out to EIG and turned to poo. However, you’ll get a lot of reversals because people aren’t going to be too satisfied with what they’re getting. You need to promote web hosting that your readers will than k you for referring them to. Some of the hosting you’re listing here I never heard of. I only heard about Bluehost, Godaddy and Hostgator. And I’ve seen a lot of blogger and affiliate marketer promoting Bluehost since they said Bluehost are the cheapest. But now I’ve a new list on web hosting that I can recommend to my reader. Bluehost, Godaddy and Hostgator are among the most popular web hosting sites online. I’m not so sure that Bluehost is the cheapest but right now they’re the definition of you get what you pay for if they’re the cheapest. SiteGround has been around just as long as the popular three above and they’re pretty well known. WP Engine is very popular in the WordPress hosting space and I guess the other three aren’t as recognizable but they’re very good. People don’t want popularity, they want a host that can serve their websites fast, always online and where they can get good customer service when they need it. Although i am an affiliate marketer myself so i have stayed away from promoting website hosts. The reason is because i’ve heard there is too much competition and it is a pretty difficult market. Or that sometimes is just better to promote other services/products if you are in that niche because making a decent income promoting web-hosts is not the best choice. I don’t know what’s your opinion about that. I knew about Siteground and WP Engine but i hadn’t heard the other 3 you mention in your post. One thing i have noticed though is that a lot of people are promoting Siteground and BlueHost. I don’t know if that’s because they are the best hosts or if because simply their commissions are far better than what their competitors offer. I think people promote SiteGround because they’re good (even WordPress recommends them) and they promote Bluehost because of the commissions and popularity. Bluehost to me isn’t a very good host (they don’t even have an uptime guarantee published on their website last time I checked) so I stay away from even recommending them and other EIG web hosts. Web hosting, yes, it can be very difficult market with lots of competition but that is a good thing because it means that there is a lot of money to be made it this space. One thing I learned early on is that no matter how competitive a niche is, there is always an angle you can use to get your “foot in the door”. Look for low competition phrases that people are searching for that suggests they’re in the process of looking for a new host or having problems with their current host and do not use the obvious keywords. You have done a really detailed write up on your 5 best web hosting affiliate programs. You sure can earn quite a bit of money through them. Everyone wants a web host for their website, that is going to be the best for hosting. It is important like you have done to give people the top web hosting affiliate programs. Also for the affiliate you want the best support and training available, like with anything that you are first learning about. Many of the affiliate programs have an affiliate manager who will offer support for affiliates as well as other material and suggestions because it will mean success for them as well. They want you to make as much money with them as you can make because it means they’ll acquire a customer who will potentially spend money to stay with them for years. . I like SiteGround as I have used their hosting service before for my company websites. I have hosted my company WordPress and Joomla sites on its platform. SiteGround has super live chat support team you can engage with, when you encounter any site issue. Their affiliate marketing team also sincerely helpful, when you have make referral business for them. SiteGround is one of the top recommended web hosting providers by WordPress and Joomla. I get to know them is because of this recommendation. In addition, SiteGround has hosting web server data center in Singapore which lead to higher speed connection since my target traffic visitors mainly come from Singapore. There are lots of reasons to love SiteGround and they’ve proven to be a very good, top quality web host. Your audience should have no problems when you refer them to a web host like SiteGround.